I've never been a big tea, fizzy drink or squash drinker (although I do love coffee), but after seeing so many people infusing water with fruits over the last few years I thought that would be something I would enjoy. So for the past few months I have been having lemon in my water and really enjoying it! 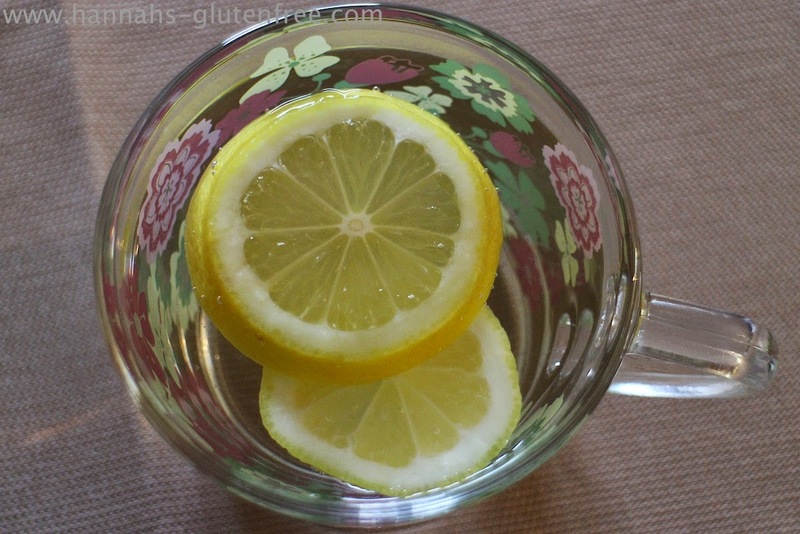 The best part about lemon water is that you can have it hot or cold. I tend to have a mug of hot water with lemon in the morning and evening and enjoy it with ice throughout the day. Not only is this a great flavour but it is believed to have health benefits too! I find that this drink is every addictive and I tend to have about 8-10 glasses a day! I have found that my skin has been loving this and although I've never suffered with spots, I have found my discolouration and blotchy areas are reduced. This could be down to the lemon or maybe because I have been enjoying it so much my body has become more hydrated through a higher water intake. Either way I have noticed a difference and the benefits of enjoying drinking water. As I am not a health expert I do not know how valid these claims are. However, having lemon water is certainly better than grabbing a bottle of cola or high sugar drinks. It also tastes much more interesting than pain water and if you squeeze a little lemon juice in sparkling water, it tastes like a sharp lemonade! What could be better! All of this for 50p?